Handbag Designer Kate Spade Commits Suicide At The Age Of 55 Years Old. A suicide note was discovered at the scene asking her 13 year old daughter Frances not to blame herself in her death. The note read, "This has nothing to do with you...Don't feel guilty. Ask your dad." According to The Associated Press, Spade's body was found by a housekeeper shortly after 10 a.m. on Tuesday morning. She had left a note that police officials said pointed to “a tragic suicide" (though her death is still under investigation). Her husband was reportedly at the Park Avenue apartment at the time and their daughter was away at school. While a student at Arizona State University, where she studied journalism, she worked in a motorcycle bar and a men’s clothing store. 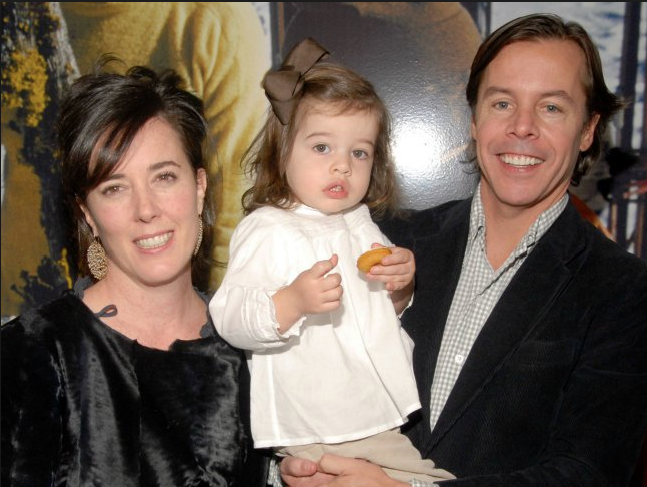 There, she met her husband-to-be, Andy Spade, the brother of the actor and comedian David Spade. She graduated in 1985. After graduation, Ms. Spade moved to New York, where she became an assistant fashion editor at Mademoiselle magazine. Within five years she was the accessories editor. In 1993, she founded Kate Spade with Andy and a friend, Elyce Arons. Spade was 55 and is survived by her husband Andy, and their 13-year-old daughter, Frances Beatrix Spade.